- 100% proceeds go directly to the program without any money getting lost in overhead costs. - Hire local workers and provide necessary training. - Partner with other programs when needed instead of just relying on our own resources and programs. We take a collective approach to assisting children and their families. New Beginnings is a farm/village that was established as a means to provide for the immediate needs of families of young children who are in emergency situations. Since its beginning the ranch has provided multiple services for families who are either homeless or experiencing a housing crisis. The goal of the ranch is to create a self sustaining village and farm. Over the short term the farm has successfully provided food for the families living at the ranch. The long term goal is to be able to harvest enough food to not only feed themselves but also sell a surplus in the local market. The funds created from selling goods at the market will be used to buy gasoline and wheat for bread. With donations from outside donors we have been able to buy homes and renovate them so they are suitable to house families with young children. While families are living in these homes they learn many survival skills and many of the parents are able to attend the rehab unit of the village. The Kiev Children's Rescue Program is the first of its kind in the entire country of Ukraine. 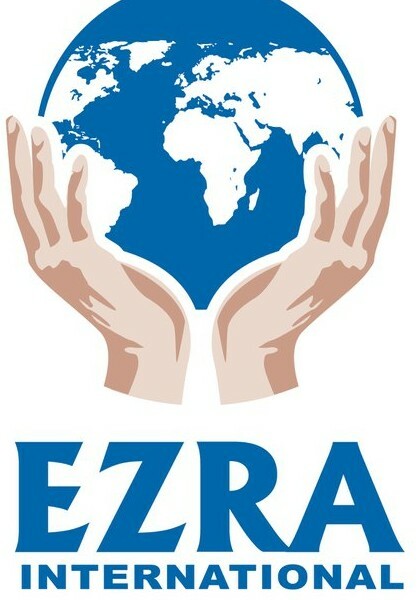 Ezra International has seen over the years that there is a dire need for a 24 / 7 help center to protect children in abusive living situations. Children’s Rescue Center staff field phone calls from the police, family members and others reporting abuse of children at risk. The Children’s Rescue Center staff do home visits, and are the social workers managing the case files for children identified at risk, both those brought into the government shelter and those still in their homes. Children’s Rescue Center staff attempt to keep children in their homes if it is safe and viable to do so, and offer in-home support. If the Children’s Rescue Center staff reach the conclusion that a child’s welfare requires removing the child, that recommendation is forwarded to the governmental officials who make the decision. Removals are carried out by the government with police intervention. Father's House is a Christian Children's home situated in a village about an hour from Kiev. Ezra has been involved with Fathers House from when it was being built in 2002. It is currently home to about 70 children who have been orphaned or abandoned. Children new to Father’s House live in the original front house, which is a rehabilitation center for them to learn living and social skills. And then after nine months the children go to live in the back building which is made up of family style apartments. Each apartment has a Mom and Dad, often with their own bio children, and there are around 8 children to each family unit. We see first-hand the remarkable changes in children as they are loved and nurtured at Father’s House. It is wonderful news when children are adopted into their own families, both within Ukraine and in other countries. To help support Father’s House, we have a sponsorship program where for $30 a month you can help by sponsoring a child.